TENS -- Lets you treat your patients by stimulation of nerves which send pain blocking signals to your brain. TENS therapy is used to treat Acute and chronic back pain, Sciatic Nerve Pain relief, muscular and disc syndromes, arthritis, shoulder pain, and many other painful conditions. EMS -- This type of stimulation is characterized by a low volt stimulation targeted to stimulate motor nerves to cause a muscle contraction. Contraction and relaxation of muscles has been found to effectively treat a variety of conditions. An injured muscle usually experiences little if any movement. NMS therapy remedies this by using low-voltages to stimulate motor nerves to cause involuntary muscular contractions. Interferential (IF) -- Stimulates muscles in a wide variety of protocols and helps relieve deep tissue pain. Interferential therapy is a deep tissue penetration that can be adjusted to stimulate nerve fibers for increased blood flow, helping heal. Common uses are pre and post-orthopedic surgery, joint injury syndrome, cumulative trauma disorders, increasing circulation and pain control. Microcurrent (MICRO) -- Stimulators that treat chronic pain, post operative pain, depression, anxiety and stress. Can help speed the healing process, reduces swelling and inflammation, mask, acute and chronic pain, release muscle trigger points, and improves soft tissue regeneration. Ultrasound -- Devices to treat your patients' pain or spasms with a deep tissue heath therapy unit. Ultrasound creates heat deep inside your pain areas, which creates a unique pain relief therapy. Electrode Garments -- Electrotherapy modalities that fit on the knee, elbow, hand and foot send healing electrodes to the injured area, stimulating the joint and promoting the healing process. Choose from a variety of sizes in socks, gloves or knee / elbow sleeves. Reusable Electrodes -- Purchase in many various sizes, cloth or foam, these electrodes come in poly bag packages or available in foil pouches for a small extra fee. One packet has 4 individual premium electrodes. 50 packs in a box. Accessories -- You can choose from a wide array of accessories to enhance your electrotherapy modalities, such as TENS lotions, gels and especially our new Sub Zero Cool Relieving Gel. 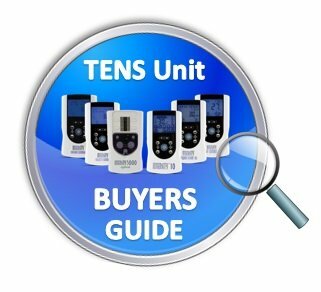 TENS units have adjustable levels of intensity and different pulse patterns because no one treatment will work for everyone. This means that the way you administer your pain relief is entirely in your control. One of the biggest advantages of electrotherapy and TENS units is that you can self administer in the comfort of your own home. Also, you avoid the side effects associated with other pain relief medication by using a tens units instead.